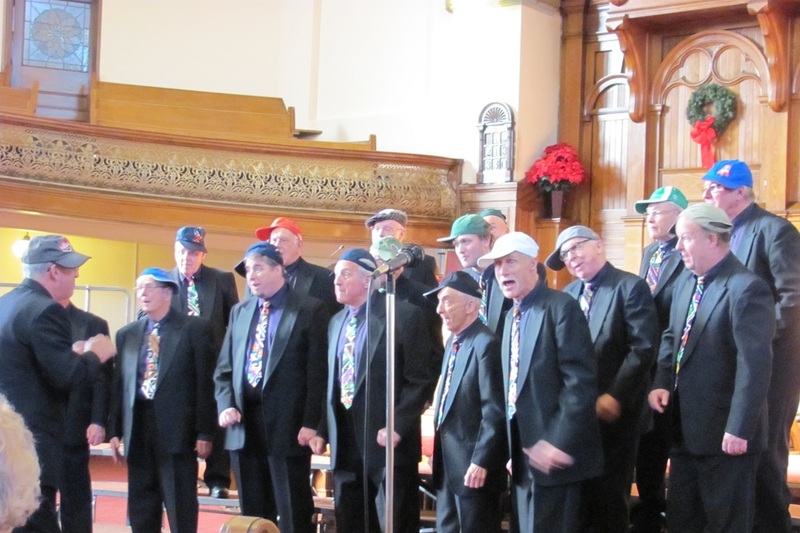 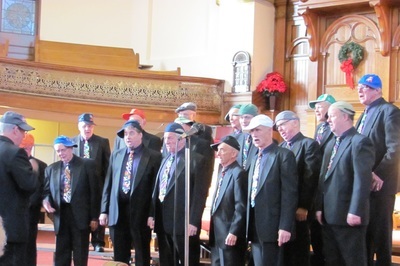 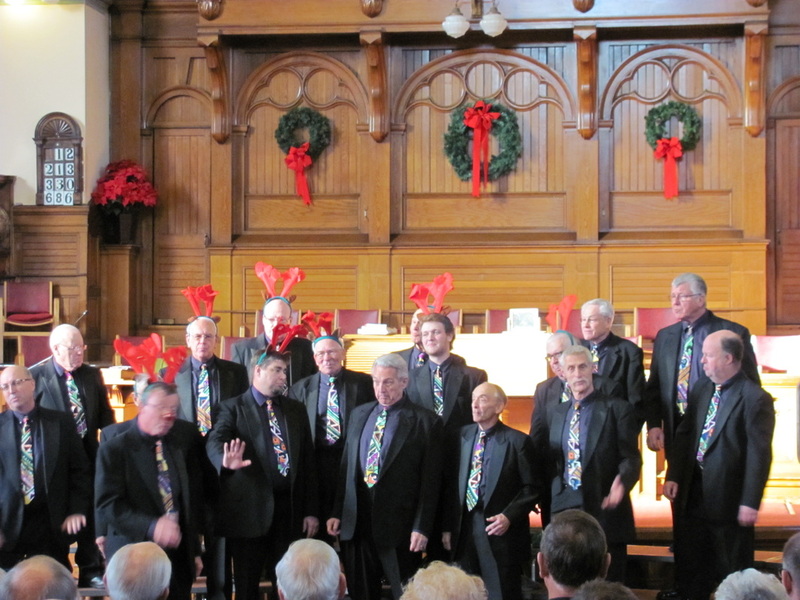 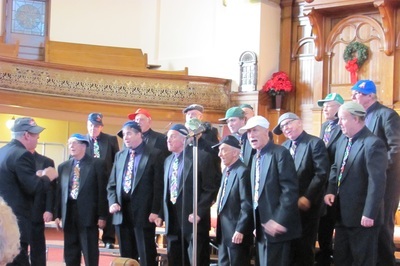 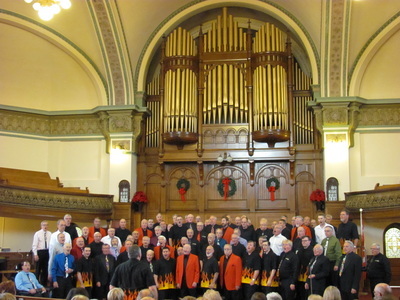 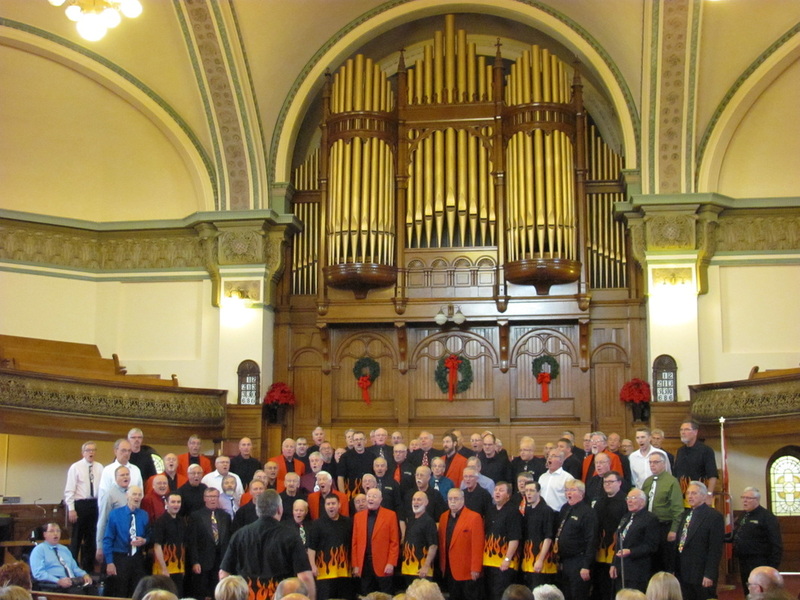 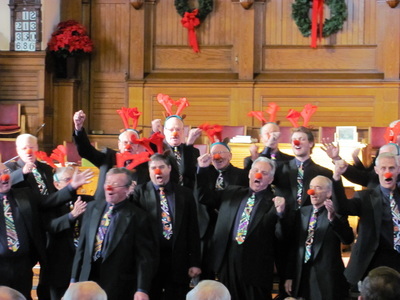 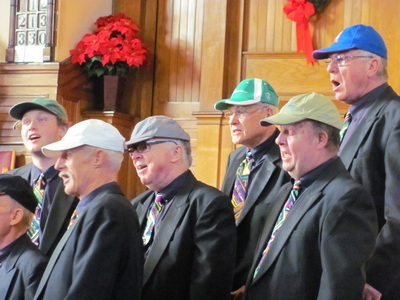 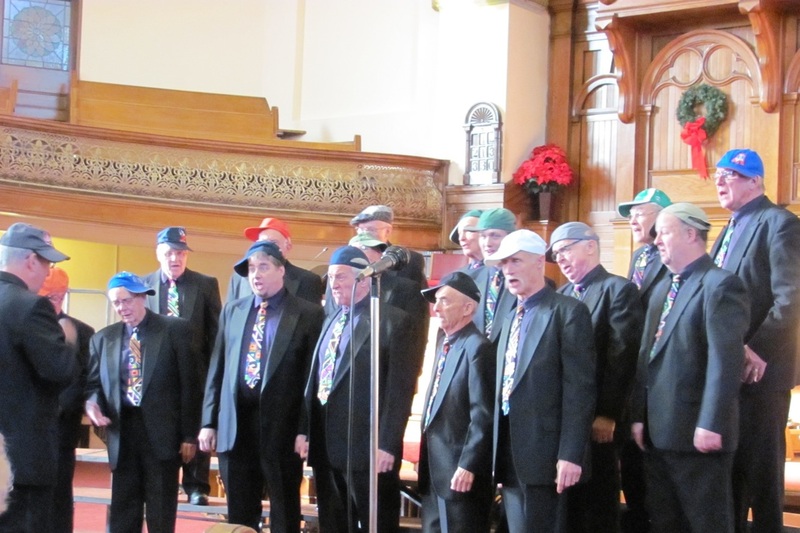 On Sunday, November 22nd, 2015, the Strathroy Vocal Federation joined with other Western Division Chapter Choruses at the Dundas Street, Centre United Church for the annual Christmas Charity Concert. 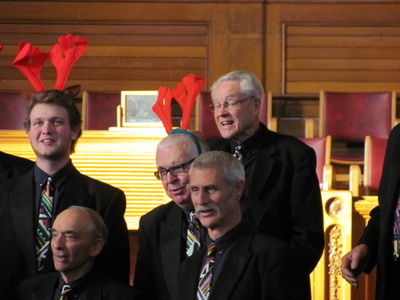 Below are some pictures taken of our chorus as we sang Nut'in For Christmas and Rudolf The Red Nosed Reindeer. 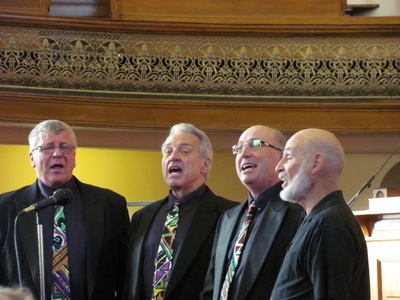 Our associated quartet of Fortified Four sang for us an all choruses came together to sing "Teach Everybody to Sing".